There are two ways to view Cochon 555 Heritage Fire in St. Helena. With close-up photos of chefs, maybe set to some Ratatouille-esque jazz and lots of posed, happy smiles, it looks like a high-end, winery food event. But that wouldn't be Cochon. No. It's so tied to fire and meat that it used to be called "Primal." Cochon tours 13 cities and crowns a "King and Queen of Porc" (won in 2011 by Santa Rosa's Duskie Estes and John Stewart of Zazu). Because of this, it's best imagined through photos of wide-eyed chefs in bloody butcher coats, knife in hand, laughing maniacally while staring at a flayed-out side of beef on a makeshift cross tilted over a massive bonfire while huge, slow, doom-metal guitar riffs from Sunn o))) and Isis shake rib cages of the living. Specters of slaughtered pig, goat, squab, thresher shark, sturgeon, duck, cow, rabbit, lamb, lobster and chicken haunt the grounds, their spirits permeating the bones of all who consume them. Oh, and there's wine, too. Like, really, really good wine. The chef list reads like a who's who of cooking, with meat masters from the Thomas, A16, French Laundry, CIA at Greystone, Fifth Floor and many others. 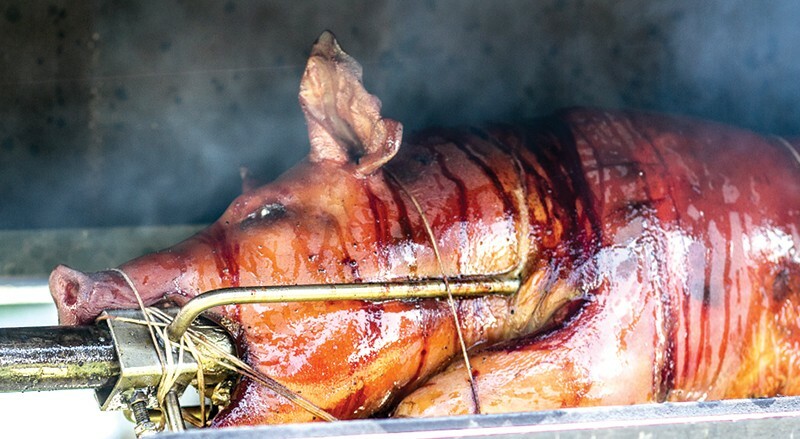 Cochon 555 Heritage Fire takes place Sunday, Aug. 11, at Charles Krug Winery. 2800 Main St., St. Helena. 3pm. $125–$200. 707.967.2200.